Wuhan, China — Grove Hydrogen Automotive Co., Ltd unveils its Prestige Car Brand ‘Grove’ for the first time today at it’s headquarters in Wuhan’s Silicon Valley Precinct. The Grove Brand is the only car company fully dedicated to large scale production of Hydrogen Fuel Cell passenger vehicles and aims to be the world leading producer of Hydrogen Fuel Cell vehicles by 2025 with the highest annual sale volume and an aggressive model and production plan and use of many technological advances at the same time to not only offer a clean power technology but also aiming to use the energy in a much more efficient way. ‘Today we launch our hydrogen fuel cell passenger vehicle premier Brand Grove, we are not content with just offering a car which provides power in a clean way, but we have developed a car with a series of cutting edge technologies that aims to take our drivers and passengers further, using much less energy than if we had settled only with adapting the existing concept of the car to Hydrogen,’ said Professor Hao Yiguo, Chairman of Grove Hydrogen Automotive Co., Ltd in Wuhan at a Company Launch event attended by some of our strategic partners and financial institutions. Grove hydrogen fuel cell passenger vehicle project was kicked off in September 2016. The Brand will shortly be unveiling its first car, a Sports oriented Activity Vehicle offering unheralded distance on a single fill of Hydrogen, at the Shanghai Motor Show in April this year. The Brand will release a number of vehicles on their advanced technological platform within the coming years. Grove offers a new form of prestige, a real green alternative, exceptional Luxury in equipment, fittings, dynamics and safety: Grove offers respect to all the requirements of the planet and our customers. Using a structure made of Carbon Fibre, usually only seen in the structure of super high end Sports cars, Motorsports and Aerospace, Grove cars are substantially lower than alternative choices of Steel and Aluminium. Not only lighter by the structure offers exceptional strength, combined with use of composite and aluminium structures for Crumple areas all Grove cars will be seen offering top of their class safety. Hydrogen Fuel Cells are a clean running power generator with only water coming as the product in the running vehicle. In China Grove’s parent company, Institute of Geosciences and Environment (IGE), manufactures and distributes hydrogen from extraction from Industrial waste, an Environmentally positive process which contributes further again to the credentials of this car as a clean transportation source. Grove cars of various sizes will feature exceptional range per tank, and combined with filling times within only a few minutes to full, the lifestyle of customers is fully respected, allowing Drivers to stop and go quickly for filling stops and to enjoy many kilometres of worry free travel to explore and enjoy this great planet of ours. Grove’s Wuhan headquarters is the result of a 3 year project from scratch to create the perfect sustainable car. 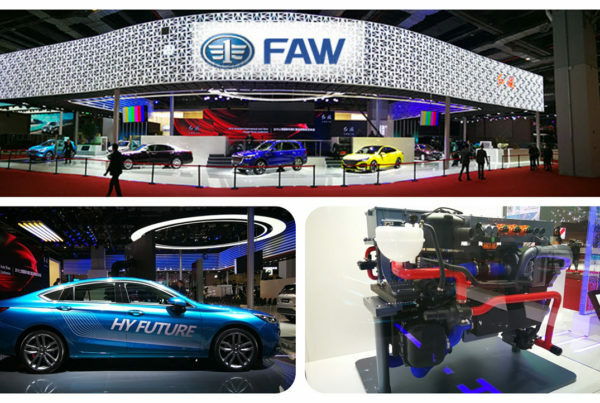 Teams of Talented Engineers from all over China and around the world have looked worked with partners all over the world to collect ensure the best of technologies are inside the car to offer sum total of a car that offers a series of advancements in every part of the car. 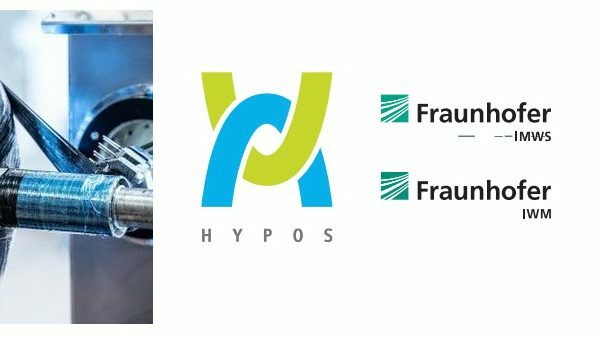 Furthermore the team have developed a car that reduces the co2 impacts in the production process and is working together with leading European Development companies on non polluting Paint processes as well. Main vehicle testing and validation for the first of Grove models will be completed in 2019 and Grove cars will be seen on the road already in 2019 and in large scale production in 2020. 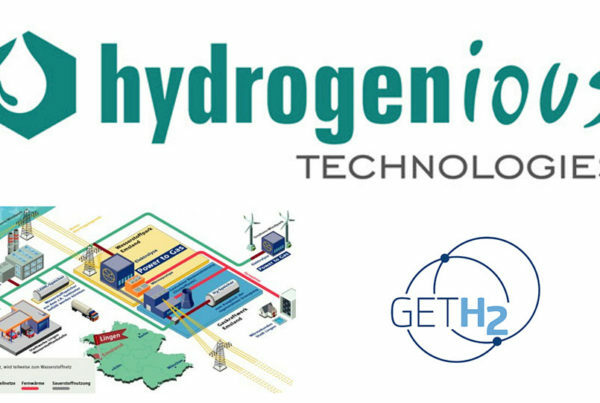 Cooperation between major cities and IGE will roll out step by step with Hydrogen Infrastructure starting the Tier one cities of China in 2020, tier two cities in 2021 and then aggressively throughout all significant cities in China from 2022. Grove will take advantage of China’s advanced Internet Based Commerce Economy offering sales through an internet based platform, but respectful of the fact that that discerning customers need a personal face to explore their journey with the car. ‘Grove will be where our customers are, not expecting them to come to us, and what is important to us is a personal service which we will offer to our customers be that at our experience centres which will begin appearing towards the end of 2019 across major cities in China, at our advanced Grove Service Centres and indeed at our customers homes and workspaces. We will offer a new form of service that we believe matches that of our cars’ says, Brendan Norman, Chief Strategy, Sales and Marketing Officer and third co-founder of Grove. 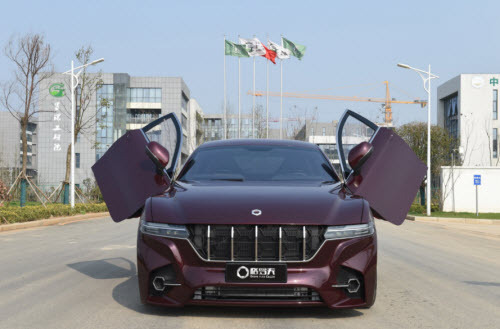 Grove will begin taking orders for their first car at the Shanghai Motor Show for Chinese customers delivery from 2020 and is expected to embark on planned Overseas Market openings in 2020. Grove’s aggressive strategy is to not only lead the Hydrogen Car Market in China but all over the world.